Dutch Passion - Blackberry Kush Auto. Free US delivery. 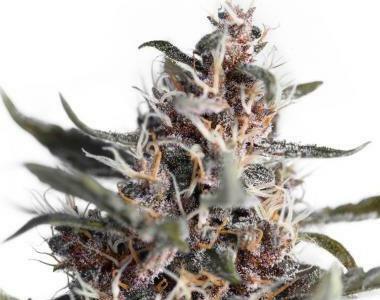 Auto Blackberry Kush is an automatic cross between Dutch Passion original Blueberry and a dark coloured resinous Kush hash-plant selected from our gene bank. Auto Blackberry Kush has been introduced to offer a TOP QUALITY indica with a heavy hitting stone together with a fresh fruity Kush taste. The Blueberry may slightly, but not always, dominate the Kush characteristics giving a sweeter and fruity influence together with the strong earthy indica contribution from the Kush. Auto Blackberry Kush grows vigorously with a strong main bloom and numerous side branches typical of an indica auto fem. The majority of plants will show colour in the leaves/buds at harvest, occasionally the hard and compact buds may develop particularly dark colours. AutoBlackberry Kush typically reaches around 0.75 - 1m and is ready to harvest about 10 weeks after germination when grown on a 20/4 light cycle. AutoBlackberry Kush will appeal to growers wanting premium quality genetics capable of delivering extra sticky XL harvests with a really strong body stone. A visually beautiful automatic Kush which produces top quality effects together with great taste and aroma. A superb new auto which has it all, highly recommended.